The paperback edition of Bush Planes and Bush Pilots delves into the history of sixteen extraordinary bush planes now found in Canada's aviation museums, and the pilots who flew them. 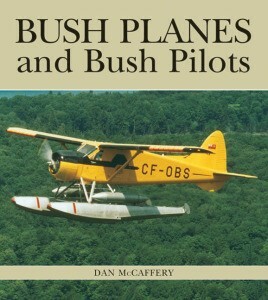 Now available in paperback, Bush Planes and Bush Pilots tells the stories of sixteen extraordinary bush planes that can be found in Canada's aviation museums, and the pilots who flew them. It is also a celebration of some of the greatest moments in Canadian history, when daring young pilots defied incredible odds to open up some of the nation's most remote regions to the outside world. Each bush plane is profiled individually, accompanied by historical and contemporary visuals and colour artwork. Author Dan McCaffery highlights a diverse spectrum of planes from the pioneer era to the modern day. 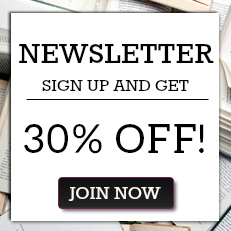 Stories include people like World War I ace "Wop" May, who used his bush plane to hunt down Albert Johnson, the infamous Mad Trapper of Rat River; Russ Baker, who performed a death-defying rescue of two dozen airmen stranded in a storm on a mountainside near the Alaska-Yukon border; and Jack Hunter, who used his Fairchild to track down rumrunners off the cost of New Brunswick. This is an attractive book that will appeal to anyone interested in reading about adventure or aviation history. DAN McCAFFERY is one of Canada's most successful military aviation history writers. He was born in Sarnia, Ontario, where he graduated from the Journalism Program at Lambton College of Applied Arts and Technology. He previously worked for the Sarnia Gazette and now works at the Sarnia Observer where he is the assignment editor. He has won three Canadian News Awards, two Ontario News Awards, and a Western Ontario News Award. He lives in Sarnia.